B&W ws to practise different tenses.Sts have to tell/write their own examples .It's a Intermediate & upper-intermediate ws. At this level sts are supposed to know tense usage. The present printable, downloadable handout is a great resource for high school students at Intermediate (B1) and Upper-intermediate (B2) level. 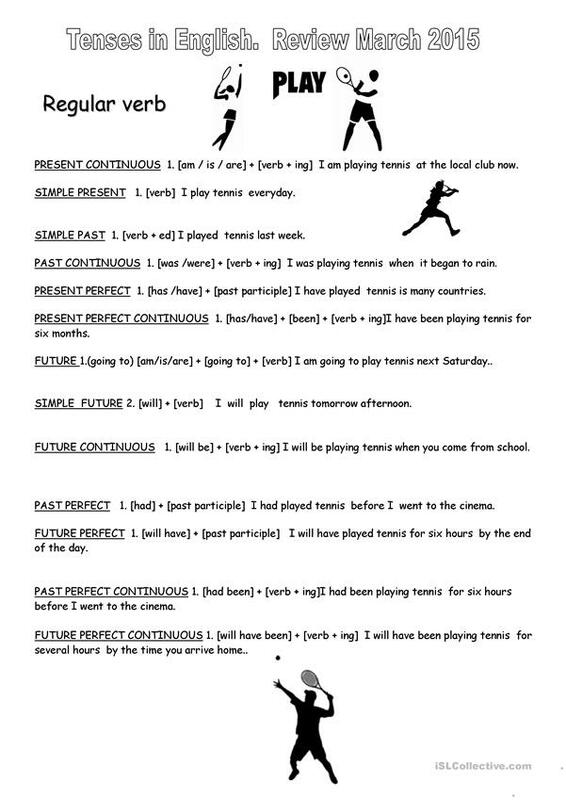 It is great for revising Verb tenses in English, and is useful for working on your class' Speaking, Reading and Writing skills. It focuses on the vocabulary topic of Actions.